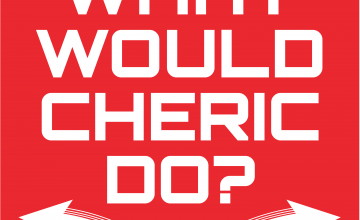 February | 2018 | What Would Cheric Do? WWCD: Episode 29 – Escape! Y’all are in for a real adventure in this installment of WWCD! We are in prequel territory here. Cheric is back in Dorado having just escaped a prison where he was put after being found out as a spy. They don’t realize though that we have actually completed our mission before being caught and now it’s up to us to escape the Doradan army and make it home safely. Cheric faces his fears. Chad and Eric call out to a moose for help. In this episode, Cheric travels to Central America to search for his missing best friend and finds himself at the mercy of the Mayans. How far will he go to accomplish this quest? Will he sacrifice his friend, or even a chicken, to save himself? Chad has a lot of hunches. Eric goes on a “road trip”. Cheric climbs a lot of temple steps.